On 19 Jan 2010, the Ministry of Environmental Protection (MEP) of China released the revised version (the Order No. 7) of the Provisions on Environmental Administration of New Chemical Substances. The new regulation replaced the old regulation issued in 2003 and came into force on 15 Oct 2010. This regulation is similar to EU REACH and is also known as "China REACH". Under this regulation, companies shall submit new chemical substance notification to the Chemical Registration Centre (CRC) of the Ministry of Environmental Protection(MEP) for the new chemicals irrespective of annual tonnage, ie chemicals other than the approximately 45,000 substances currently listed on the Inventory of Existing Chemical Substances Produced or Imported in China (IECSC). The notification not only applies to new substance on its own, in preparation or articles intended to be released, but also applies to new substances used as ingredients or intermediates for pharmaceuticals, pesticides, veterinary drugs, cosmetics, food additives and feed additives, etc. 24 April 2014, China MEP has issued the 5th batch of China new chemical substance notifications to be approved in 2014 for public consultations. This batch includes 8 high-tonnage new chemical substances, among which 4 have been prepared and submitted by CIRS. Up to date, approximately 20% of typical notifications of new substances (>1t/y) approved in China have been prepared by CIRS since MEP Order No.7 came into force in Oct 2010, making CIRS a true global leader of China REACH compliance services. There are 45612 substances in IECSC(2013). Chinese government updated this inventory on 31 Jan 2013. The full list can be downloaded here in pdf format. You can also search if your substance is listed in IECSC(2013) by using CIRS's free Chinese Chemical Inventory Search System (CCISS). There are 3270 substances in the confidential section of IECSC(2013). They are shown in category names. No CAS number or molecular structure is given for those confidential substances. Companies have to submit a formal enquiry to CRC to check whether a substance is listed in the confidential section of IECSC or not. SCC usually issues a letter of confirmation within 2 weeks after an enquiry is submitted. CIRS provide the service to help you check the confidenial part of IECSC. Special notes: Polymer is not exempt from notification. Even if all monomers are listed in IECSC, notification is still required if the polymer itself is not listed in IECSC. More info can be found at simplified notifications under special conditions. More info about polymer notification in China can be found here. NEW! For substances that are not included on online IECSC data base, CIRS offers enquiry service to confirm with CRC whether the substance has been listed in the confidential section of IECSC. More information about our free Chinese chemical inventory search service, please click here. Radioactive substances, military industry products, pyrotechnics, biotic substances, pesticides, veterinary drugs, pharmaceuticals, cosmetics, foods, food additives, feed, feed additives, tobacco and tobacco products. 1. Substances that are unprocessed, or that are manufactured or processed only through the methods listed below: 1) Manual; 2) Mechanical; 3) Gravitational; 4) Soluble in water; 5) Floatation in water; 6) Heat dehydration. 1. Impurities; 2. Products of random reactions; 3. Products of random reactions that occur when a chemical substance, mixture, or article is in storage; 4. Products of reactions that occur when a chemical substance, mixture, or article is in final use; 5. Waste water, waste gas, solid waste, and by-products. 1 Glass; 2.Frit; 3. Pottery raw materials and ceramic ware; 4. Steel and steel products; 5. High-alumina cement; 6. Portland cement; 7. Articles 8. Homogeneous and heterogeneous alloys, except for metal compounds and precisely defined intermetallic compounds 9. Non-isolated intermediates. Foreign companies selling new substances to China. Companies in China can submit new substance notification on their own or appoint a local agent to do so. Foreign companies have to appoint a local Chinese agent to submit new chemical notifications and the local agent shall be knowledgeable enough to carry out the notification. The role of the agent is very similar to the role of "only representative" under EU REACH regulation. Note: The minimum registered capital of the local Chinese agent is 3 million yuan (around 330,000 Euros). China REACH has set out this requirement to avoid so called "shell" companies. Whether a new substance has been notified is a crucial aspect of environmental impact assessment. There are three types of notifications under China REACH: typical notification, simplified notification (under basic or specific condition) and scientific research record. - for low concern polymers(if the polymer itself is not listed in IECSC);. New chemical substances used for scientific research with an annual quantity lower than 0.1 ton or if the sample is to be tested in laboratories in China. The difference between Scientific Research Record and other two types of notification is that for the former the related activities could be started once the notification form is submitted and for the latter related activities (manufacturing or importation) can only be started after the applicant receives the registration certificate issued by CRC. For more information about the specific data requirements for new chemical notification in China and other types of notification (joint notification, repeated notification and serial notification), please click here. After notification is completed, a registration certificate containing specific management category will be issued. Certificate holder needs to fulfill different post-notification obligations depending on the management category of the substance. Chemical substances will be categorized as general new chemical substances or hazardous new chemical substances. Hazardous new chemical substances possessing persistent, bioaccumulative properties or are harmful to ecological environment and human health will be further classified as priority hazardous new chemical substances for environmental management. How much does China REACH cost? The total cost consists of three major parts: the administration fee, the testing fee and the consulting fee. The administration fee is fixed and it is charged by CRC. It is a small proportion of the total costs (typically around 200 RMB). The testing fee accounts for a large proportion of the total costs and it is charged by certified laboratories. The testing fee is tonnage based. It typically costs several hundred thousand RMB to carry out testing to obtain a full set of data. Some high level testing items could be waived by analyzing the results of the basic testing items and thus the corresponding testing fee would be lower. The consulting fee charged by CIRS is fixed depending on the type of notification. Note: Some ecotoxicological tests must be carried out on Chinese specific creatures in certified Chinese laboratories. Other data generated in GLP labs outside of China is acceptable. If your company owns available data, the total costs could be reduced significantly. QSAR and READ Across are also accepted. Initially set up by China Inspection and Quarantine Bureau, CIRS has a strong presence in China and close links with Chinese Government Agencies including the Chemical Registration Center and state testing laboratories such as Shanghai Environmental Academy of Sciences and Shenyang Research Institute of Chemical Industry Testing Center. As the largest REACH only representative in the world, our expertise with REACH has given us extra advantages of using non-testing method to generate data and minimize costs. 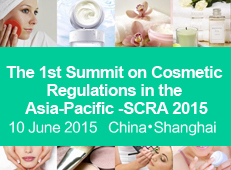 CIRS has become the leading provider of comprehensive chemical compliance services in China. Updating the notification dossier if tonnage band has changed, reporting the trade/manufacture activities of the new substance to local enforcement authorities, fulfillment of other post-notification obligations after the Registration Certificate has been issued. If you are interested in our services, please fill in our new substance information form for China REACH and send it back to us. We offer free consultation on the right type of notification and initial data gap analysis. Confidentiality agreement can be signed if necessary. We also offer one-stop solutions to your chemical compliance in China and our services include new substance notification, registration of the import and export of toxic chemicals, and classification and labelling in according to China GHS and the Chinese SDS. We also deliver the most up-to-date regulatory information about chemical control laws in China.